Our client is a major hospital system and healthcare provider that has been growing rapidly and expanding their medical staff. 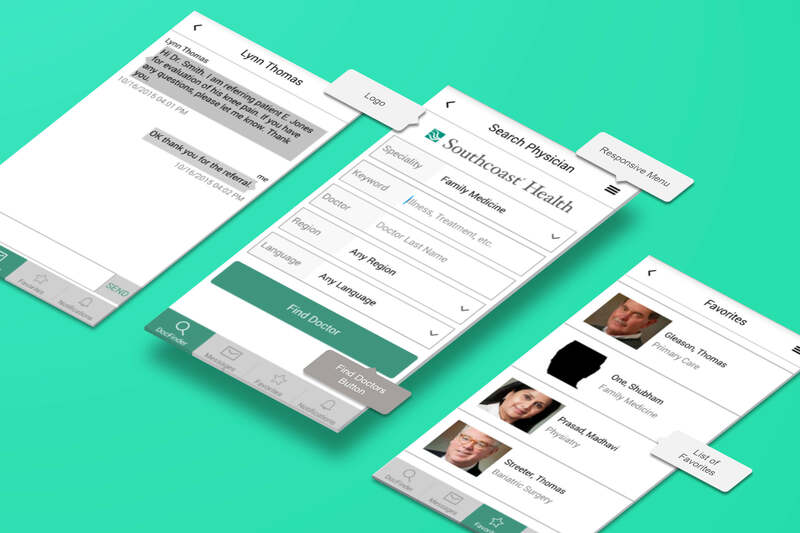 The client wanted to build a mobile app which would allow doctors to find other doctors who work within their healthcare provider network within various specialties and/or locations so that physicians can refer patients to one another other. Physicians also needed a way to communicate with each other about patients in a secure and HIPAA compliant manner. To accomplish this, Outright built both an iPhone and an Android version of the app which integrates with a secure, back-end system which was built by the client’s technical staff. The apps are distributed and installed onto physicians’ phones using an internal app distribution mechanism. Doctors must login to the app with credentials provided to them by their IT department. Once logged-in, doctors can search for other doctors within the network using various search criteria and can communicate securely with each other over a secure chat feature. Outright was involved in the early concept stage of the app and worked with the client during UX design, usability, development and testing of the app. Push notifications for certain conditions such as when a doctor is added to another’s favorites list, when a new doctor becomes available, when a new message is received, etc.